Brie Larson announced as Captain Marvel at last year's SDCC Hall H panel. 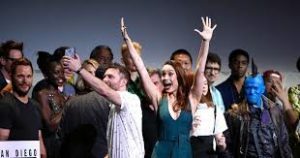 On the eve of the release of the long awaited climax to the Marvel Cinematic Universe, Disney’s top tentpole studio has decided to skip Hall H and bypass Comic-Con this year. But is this because they have nothing new to hype because Avengers Infinity War will have already been out, or is it that Marvel is leaving Hall H for good in favor of the Mouse House’s own D23 Fan Expo? 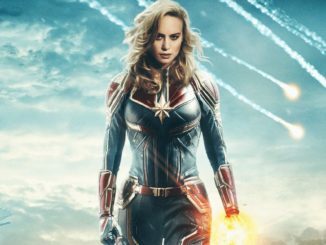 Brie Larson announced as Captain Marvel at last year’s SDCC Hall H panel. And while it’s not unheard of for Marvel to skip a major Comic-Con presence (they’ve done it before), while Feige says that Marvel will return to SDCC in 2019, the big question is … WILL THEY? 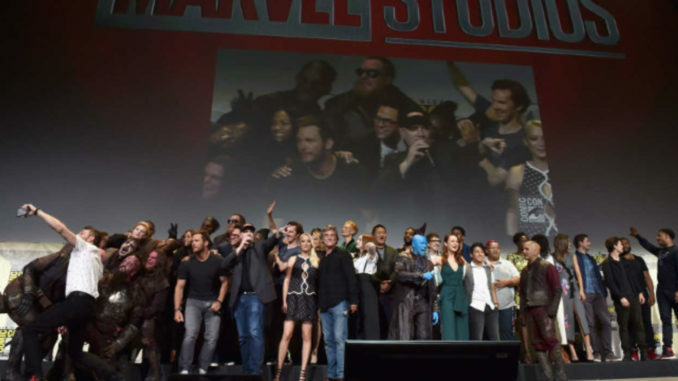 My guess is that Marvel’s parent company, Disney, wants to carve out a permanent home for the MCU at their own fan event, the D23 Expo, and use that event to showcase any upcoming news worthy of hyping. Disney did the same thing with Star Wars, with the exception of the launch of The Force Awakens in 2015, and it has its own panels for The Last Jedi at Star Wars Celebration. So that, coupled with D23, and there’s just no need get everyone together again to hype what’s already been hyped. But also, if you think about it, this would be an ideal way to clothe what happens after Infinity War in secrecy, with huge cliff hangers that will have us speculating until Avengers 4 comes out in 2019. But we do know that what’s coming will be Captain Marvel, Guardians of the Galaxy 3, and Spider-Man (Homecoming) 2. Beyond that, we’re expecting sequels to Black Panther and Doctor Strange. 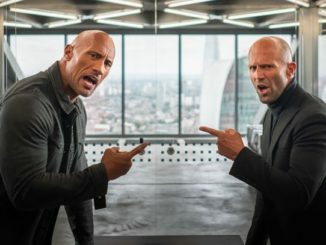 There’s also rumors flying fast and furious that as Phase 3 begins to close out, that Feige may actually be ready to leave Marvel Studios altogether and strike out on his own, to perhaps take on another challenge. Could Warner Brothers lure him to fix the DC Universe? I don’t think that’ll happen. More likely he’ll just want to do his own stuff and have his own challenges. Lastly, there’s the undiscovered country that is the merger of Disney and Fox. This merger will bring tentpoles like the X-Men, Fantastic Four, and DeadPool back to the MCU, and that waiting a year while the merger gets approved and completed will provide new elements to the entire MCU, right when Phase IV heads back out into space. I have to say, I’ve been expecting this for quite some time, and was surprised it didn’t happen last year. Disney wants to drive wants towards their own expos for financial reasons, and it’s eventually going to happen that Marvel will only have a token presence in San Diego. 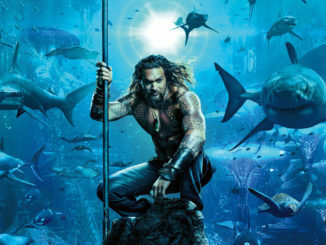 Meanwhile, we’ll just have to settle for the Jason Momoa show during the DC/Warner Brothers Aquaman panel. And hopefully, Jodie Whitaker’s Time Lordian first visit for Doctor Who? Here’s hoping. Comic-Con 2018, Day 3: Aquaman, Buffy, The Expanse and More!